Since mobile phones have an Internet connection they seem to have lost their main function: calling. The instant messaging services and social networks have relegated phone calls to the background . That's why it's more than likely that you'll just use the Contacts app on your iPhone. The Contacts app is very easy to use. An agenda in which to store names and phone numbers, in addition to other information such as the address of the house and email. However, there are some functions that tend to go largely unnoticed that can further improve the organization of the application. The best way to have all our contacts well organized is to save them in the Contacts app with the full name. However, it is something that is not very common, although it is the most logical to avoid confusion with people with the same name. 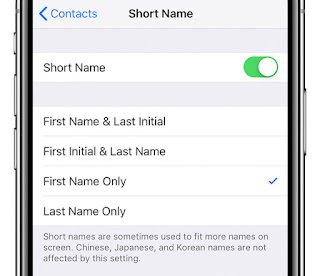 There is another option to find contacts also very easily: nicknames . We open the Contacts app. You can also open the Phone app and go to contacts from there. Click on the desired contact card to add a nickname. Next, we give it to edit . Select the option that allows you to add mote or nickname . Now, you will see how a field with this attribute appears. Edit it to add the nickname or nickname desired. Activates the switch in which it says "short name" if it is deactivated and vice versa. Now you are the one who decides which one best suits your needs. 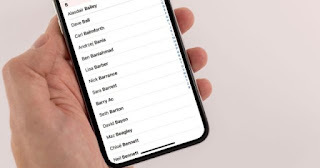 If after learning to add nicknames or nicknames to your contacts you prefer to order them by these before their real names, tell you that it is possible. Configuring it in this way, contacts will be organized by their nicknames in the vast majority of applications. So you can activate it. 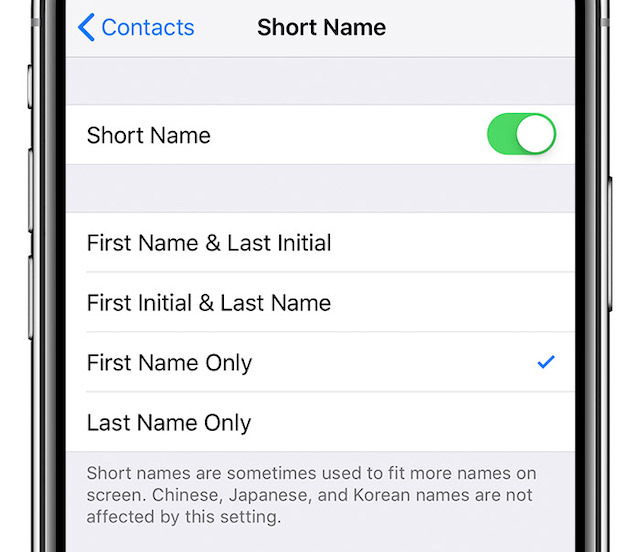 Situate yourself on the "short name" option that we have already mentioned above. Make sure that the option "prefer nicknames" , which is in the background, is activated, or deactivated if you see that it is not your thing. Another very interesting function to have our contacts better organized is to add relationships or relationships between them . When a kinship or relationship is added to your contact card, contacting that person becomes a little easier under certain circumstances. For example, if you associate your wife or husband, you can say: "Hey, Siri, call my wife / husband". Unlock the iPhone and say "Hey, Siri" to call the personal voice assistant. If your iPhone is relatively old and you can not call Siri in this way, press and hold the Start button to invoke it. Tell Siri the kind of relationship you would like to keep . For example, say "Ernesto López is your brother." Make sure you say the exact name that appears on the contact card. Siri will ask you if you are sure you want to confirm this relationship . Say "Yes" or click on the yes button when it appears. You can also add custom titles for people with the same relationship or kinship. For example, if you have several siblings you can differentiate them with the adjective "small", "greater" or "medium". You can also add this type of relationships manually in the Contacts app. We open the Contacts application. 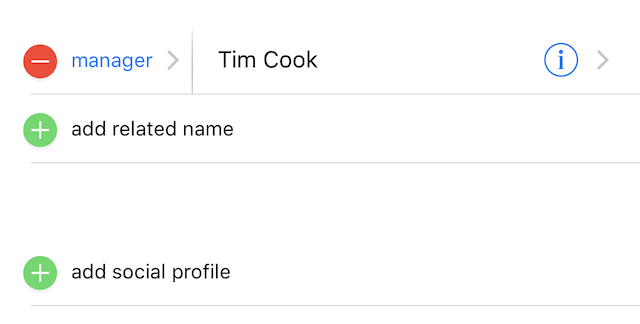 We look for the contact card , we give it to edit and click on "add related name". From here, we can choose between different tags or create a custom one . 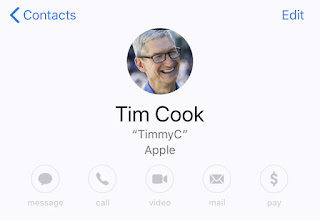 With these tricks, the contact list of your iPhone will stop being a disaster .